New lighting, new lighting, new lighting. We've had all of these fixtures lying around for quite awhile now, it just took requesting to have them installed for my Mother's Day gift to get it done. The pagoda chandelier you can read about here. The other 2 fixtures were from a barn sale and set me back $3 each. 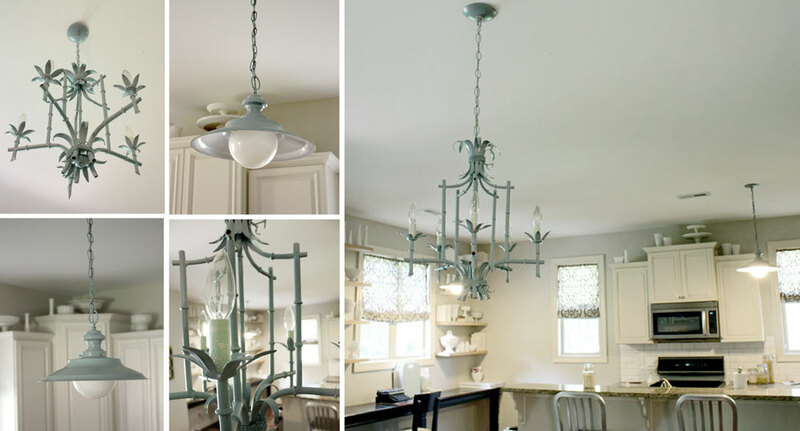 I love vintage lighting, and I love how these 3 fixtures work together now that they all have a fresh coat of blue-gray paint. Love.